I came across this question whilst rapidly browsing earlier - the OP added "SOLVED: " to the title, but did add vaguely how they got the answer but did not accept it. And filtering it down a bit returns 4713 questions - but doing the same filtered search on stackoverflow returns 147500 (though that is out of the near 10million they have there). That is behavior from Ubuntu Forums. 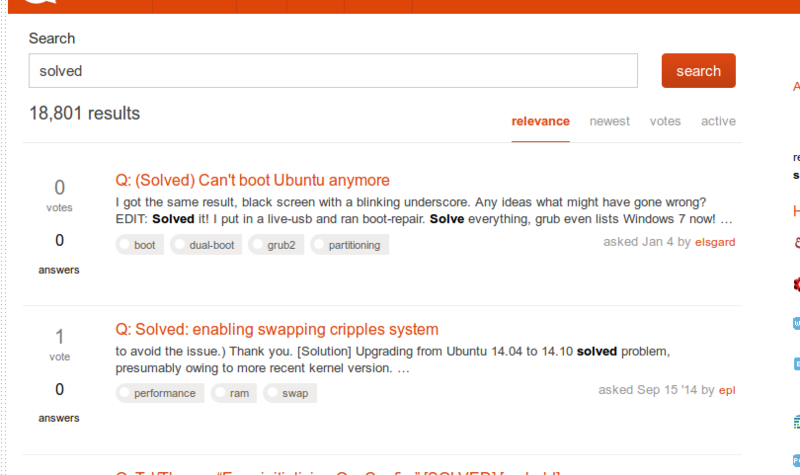 This is not Ubuntu Forums. Did somebody fail to shift paradigms and thereby pop the clutch? What should I do if I've solved an issue for myself and think it would be good to have out there? There's no way to mark a question solved when you figure it out yourself.